LOS ALTOS, California — The David and Lucile Packard Foundation was created in 1984 by Hewlett-Packard co-founder David Packard and his wife Lucile to provide grants to improve the lives of families, children and communities and to restore and protect our planet. The Foundation recently inaugurated its new headquarters in Los Gatos, which is the largest Net Zero Energy building in California. The building is equipped with a host of state-of-the-art amenities including a HARMAN BSS Audio Soundweb™ London conferencing system. The system was installed by San Jose, CA-based Integrated Communications Systems (ISC), a communications contractor/integrator with a client roster that includes some of the best-known names in Silicon Valley. 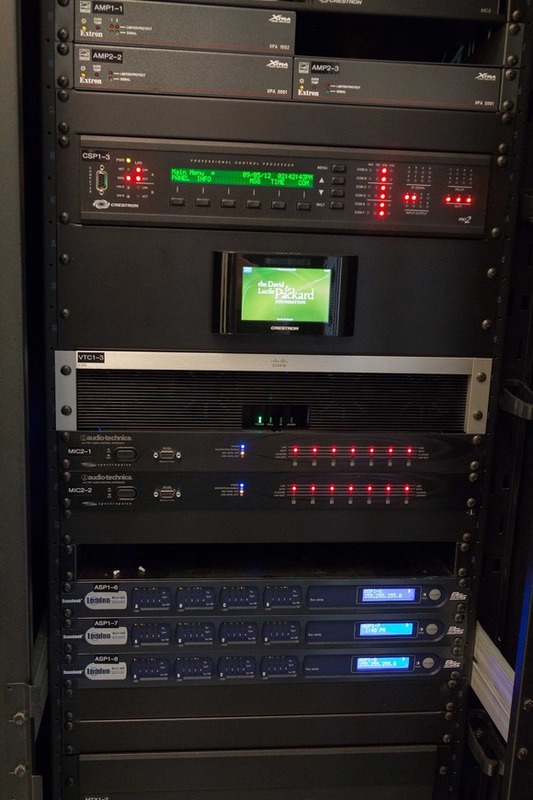 The BSS Audio system features two BLU-800 devices and eight BLU-160 devices, and includes six Soundweb London Telephone Hybrid Cards and 14 Soundweb London AEC (Acoustic Echo Cancellation) Cards. The BSS Audio devices are complemented by 32 JBL® Control 26CT in-ceiling speakers, six Control 128W in-wall and four Control 126W in-wall speakers installed in the Foundation’s six videoconferencing rooms and throughout the facility. The BSS Audio components and other A/V equipment are located in one of four intermediate distribution frames that send the audio and video to the six conference rooms, and divisible meeting room. In addition, audio can be fed to the building’s center courtyard. The system is used primarily for conferencing and presentations. For more information about Integrated Communication Systems please visit www.ics-integration.com.